VTech Go! Go! Smart Wheel Safe & Sound Rescue City Just $26.49! Down From $65! You are here: Home / Great Deals / VTech Go! Go! 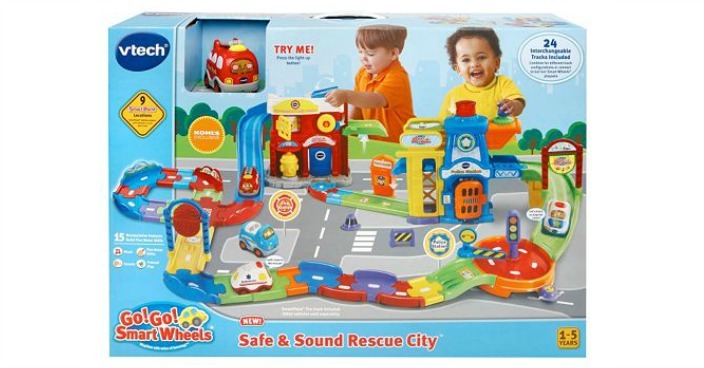 Smart Wheel Safe & Sound Rescue City Just $26.49! Down From $65! Kohl’s has this VTech Go! Go! Smart Wheel Safe & Sound Rescue City on sale for $39.99 (Reg. $65) but you can get it for only $26.49 shipped! Final: $26.49 each shipped or $33.99 When You Buy one!